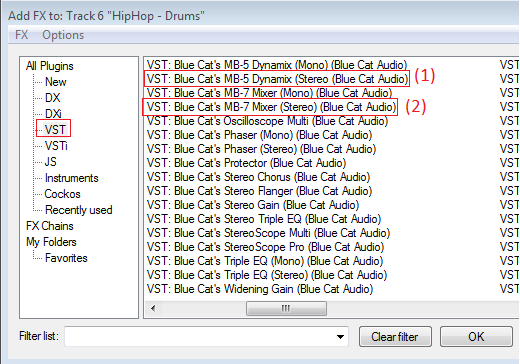 This tutorial shows how to perform multi band side chain compression, ducking or gating with Blue Cat's MB-5 Dynamix and Blue Cat's MB-7 Mixer. 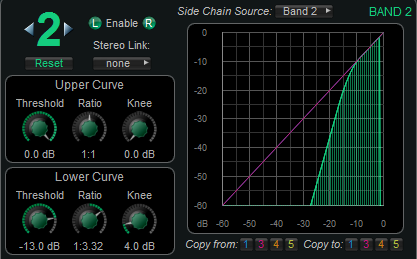 "Side chaining" consists in using the signal of a track to control an effect on another track. 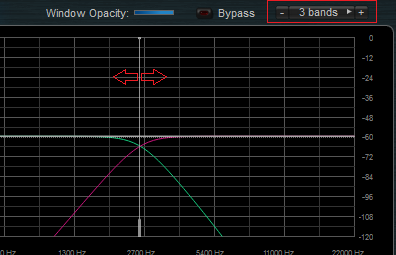 We will also show in this tutorial how to monitor both the source and destination frequency bands to tweak the effect. 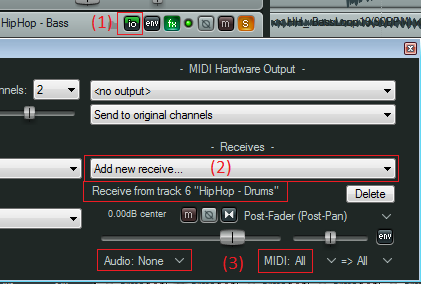 Note: this tutorial uses Cockos Reaper as a host, but you can use any other host provided that it supports either MIDI CC or parameters routing. For more information, check our other Tutorials to understand how to connect our plug-ins together in other hosts. 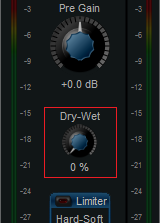 The output brickwall limiter should not be used, since it cannot bypassed with the dry/wet knob. 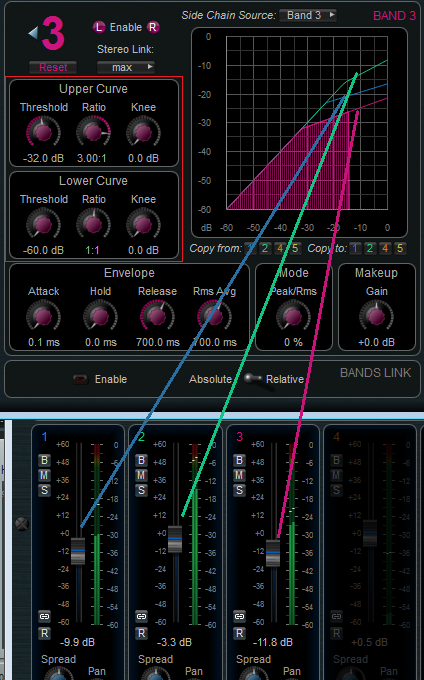 The plug-ins are now configured so that dynamics changes computed by the MB-5 Dynamix plug-in on the source track are sent to the MB-7 Mixer plug-in on the destination track. 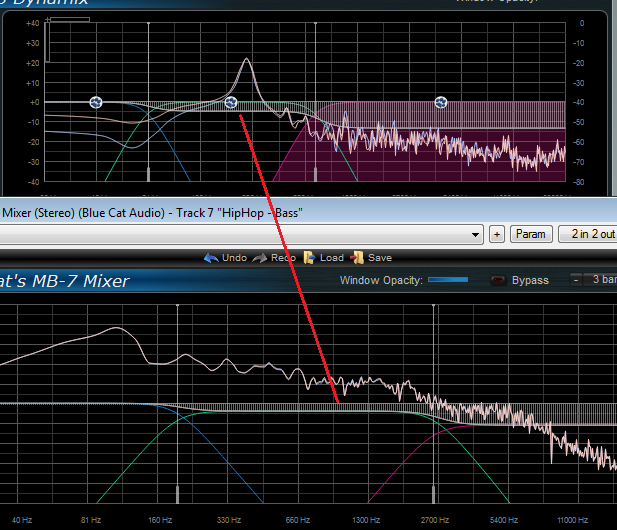 Frequency ranges on the source and destination track will probably be different, since the instruments have different characteristics. 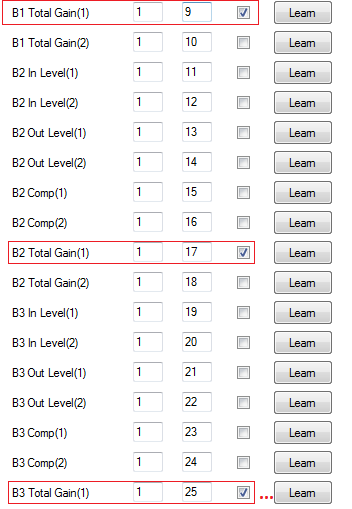 You can adjust them freely, depending on the desired effect. 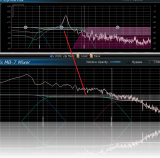 Once you get closer to the desired effect, you may want to adjust the source and destination crossovers (frequencies, steepness) to perfectly match the appropriate spectrum both for the trigger (source) and the effect (destination). 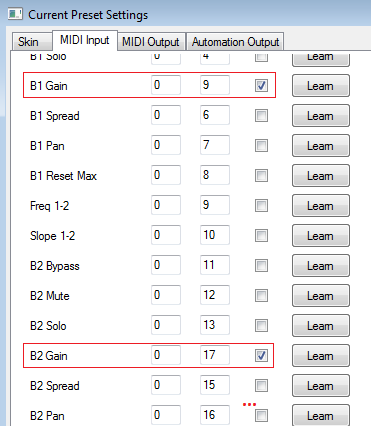 You are now able to use the side-chaining capabilities of Blue Cat's MB-5 Dynamix and MB-7 Mixer plug-ins to create multiband side chain dynamics effects. 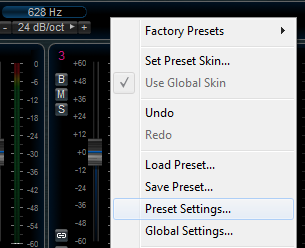 You can experiment the impact of compression, expansion or gating between different instruments with various frequency ranges. 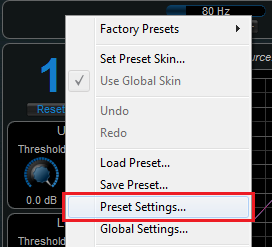 You can of course extend this tutorial using your own settings, but also using different parameters: you can for example use the "pan" or "spread" parameters as destinations (instead of the gain) for dynamics-based stereo control. Enjoy, and send us the results of your experimentations!